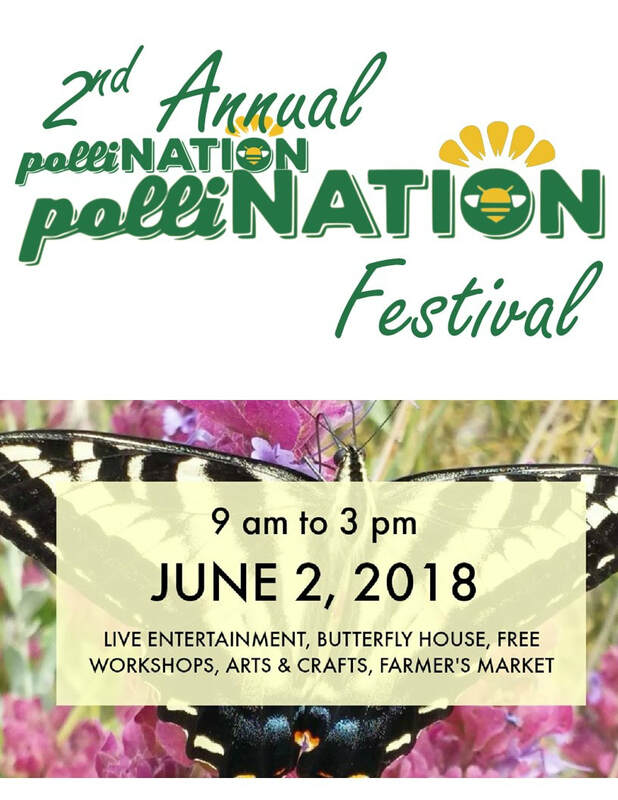 Come join us on June 2nd for the 2nd annual SOCal PolliNATION Festival! This FREE event strives to raise awareness of pollinator declines and to raise funds for pollinator sanctuaries. All event profits will be donated to THE INCREDIBLE EDIBLE COMMUNITY GARDEN to distribute grants throughout SoCal. Our PolliNATION Festival Volunteers have teamed up to bring us our butterfly house AND activities. These local butterflies have been lovingly cared for by our volunteers! Each entrant will be entered into a drawing to help release the butterflies at 2:30 pm. The butterfly house is free, but there is a $5 suggested donation for our pollinator grant fund. Please check out the activities tab for a list of activities! We have carefully chosen vendors for our farmer's market. Their entry fees were entirely donated to our benefit non-profit pollinator fund. Please support them and enjoy all of the art, crafts, and more for sale! For a complete list, check out our Farmer's Market tab! There will be entertainment all day in the amphitheater! Check out our shows tab above for the schedule. We want to give a special shout out to James Elder, a local entertainer, for donating to make sure we have entertainment for the day! CLICK HERE TO REGISTER FOR FREE WORKSHOPS AS SEATING IS LIMITED! Jess Starwood with Sunraven Apothecary holds a Masters Degree in Herbalism. She leads wild food hikes, whips up wild food creations, and leads people on their journey towards health. In this presentation, she will share a preview of her upcoming book. Healing ourselves & the environment requires connections with nature, so come get a sneak peek! 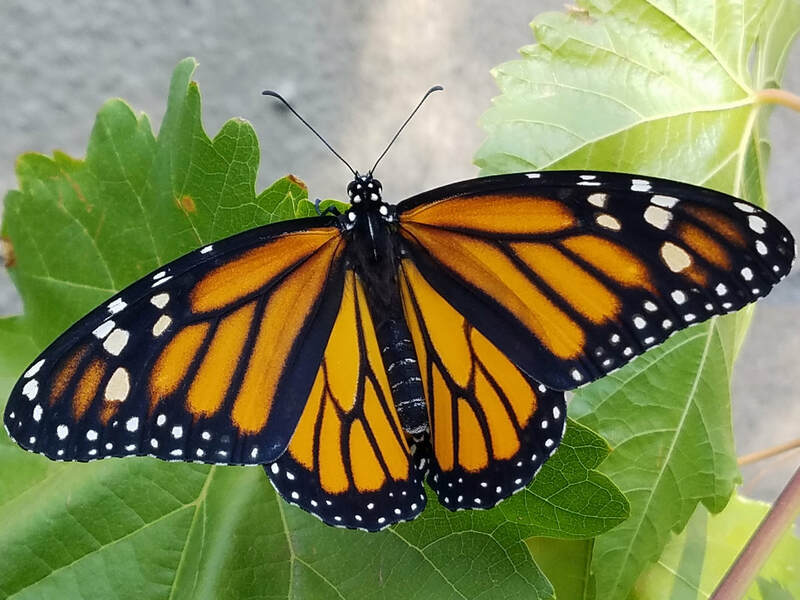 Terry Oxford, owner of UrbanBeesSF , collaborated with property management in downtown San Francisco for the planting of all organic and natives for a result of happy and healthy urban pollinators. She is a five time presenter at the CA Academy of Science and educator. She is travelling to SoCal to share how to successfully advocate for pollinators in your local city through policies and ordinances. Soil is more than dirt to walk on. Healthy soil brings us food, clothing, and shelter. Healthy soils are also an important part of a healthy water cycle and help to reverse climate change. Healthy soils are the basis of the food chain with a complete microbiome. Jessica Handy, from Kiss the Ground, will share how we can help restore healthy soils to restore a healthy world. ​We want to thank ALL of our participants for making this event successful! throughout the event, there will be various fundraising opportunities for our non-profit. 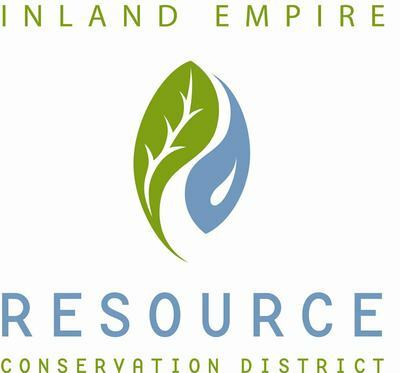 Proceeds stated at the participating locations will be donated for a grand fund for pollinator sanctuaries through the Inland Empire. Donations will also be accepted ONLINE (tagged "Pollination" & at the front of the festival at The Incredible Edible Garden's tables. 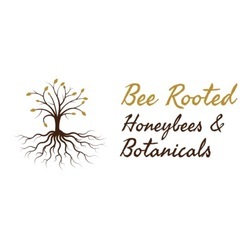 ​Visit Bee Rooted, the festival's top sponsor and organizer, for local sustainable honey and botanical skin care. We focus on using only organic ingredients and all products are developed by a Certified Aromatherapist and herbalist. Be sure to visit our observation hive and educational table in the main building lobby and listen to our scheduled workshop. ​Auntie A's Face Painting will make your special day! For kids of all ages, they only use hypo allergenic FDA approved body paint and glitter. You'll never feel like you are even wearing the paint as it lasts for hours and washes off with soap and water. She is donating 100% of the profit to our non-profit pollinator sanctuary fund, so make sure you stop by! We are a fan of Jess Starwood and her Sunraven Farm where she gives herbal education and sells her herbal goodies. Last year I bought her ethically wild foraged white sage essential oil and I have treasured that special treat! She is giving a scheduled workshop and presentation, but her vendor booth on the lawn is full of tons of healthy herbal products to make you look and feel your best! ​Farm Fresh to You delivers organic produce straight from the farm to your doorstep. Visit their vendor booth to see how their program works and how you can sign up! ​Party2Gogh offers family friendly activities for all, regardless of artistic talent. Find your creative side by visiting their booth and trying to create a unique piece with an art teacher by your side. Sew Busy Needles a variety of items: baby bibs, blankets, aprons, dresses and more. Come peruse their wide selection of handmade creations. Cooking for Health has the mission to educate as many families as possible on how to cook faster, easier, and most importantly healthier. Come by their booth to check out their offerings of classes and recipes! What a wonderful finale to our PolliNATION Festival! Join us to release the butterflies into the wild! All butterfly pavilion entrants will be entered into a drawing to help release the butterflies. Butterfly release potential participants will need to be present at the pavilion in order to participate. Our PolliNATION Festival Volunteers have teamed up to bring us our butterfly pavilion. Each entrant will be entered into a drawing to help release the butterflies at 2:30 pm. Entrants must be present to help release butterflies. Huerta Del Valle's mission is to cultivate an organization of community members to grow organic crops. 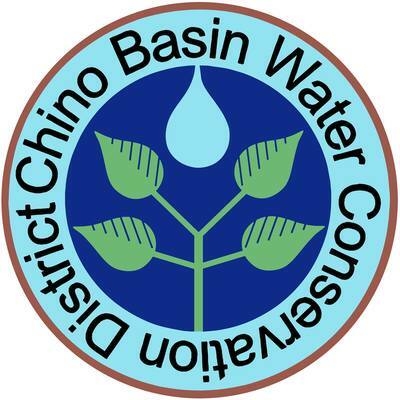 Their motto is, "growing change in the Inland Valley". Search them out back by the educational building for cooking demonstrations from their locally grown crops. Have you been up to the Orangewoods? Orangewoods Farm has provided community based events as well as therapy animals for community members in need. Mini horses and more will provide your family with smiles at our event! 9:00 am - 11 am Come listen to the great music of James Elder. Nicknamed "Grizzly", he has entertained our community for quite some time and is popular with locals. Come see what you have been missing out on until now! 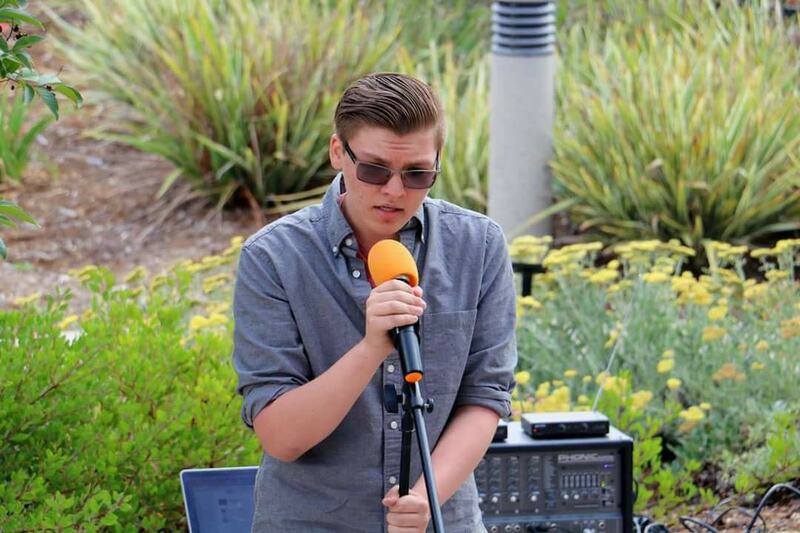 We are so excited that local talent will be performing at the PolliNATION Festival on Saturday! 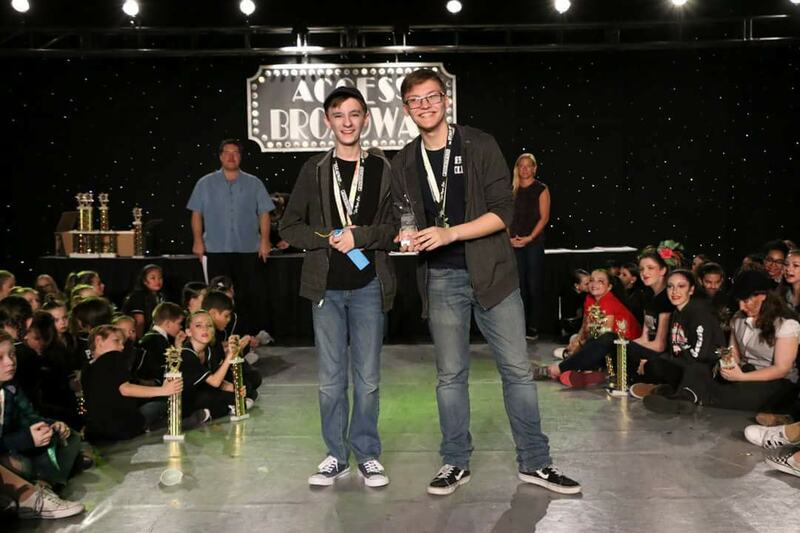 These 1st place award winning students have performed in Lion King, Legally Blonde, and 13 the Musical. Joshua has even directed his first school show! Come see them at 12:30 and again at 1:30!